An intersection and a sequence of parking lots, a useful spot for a quick stop to buy something at the pharmacy or the bakery, pic up the kids and leave again. That what Piazza Cavour used to be. A residual space eaten by the small city of Canelli (AT) that could be considered more a car-oriented city than a human-sized one. The architectural design is based on the main visual axes which already existed in the urban structure. 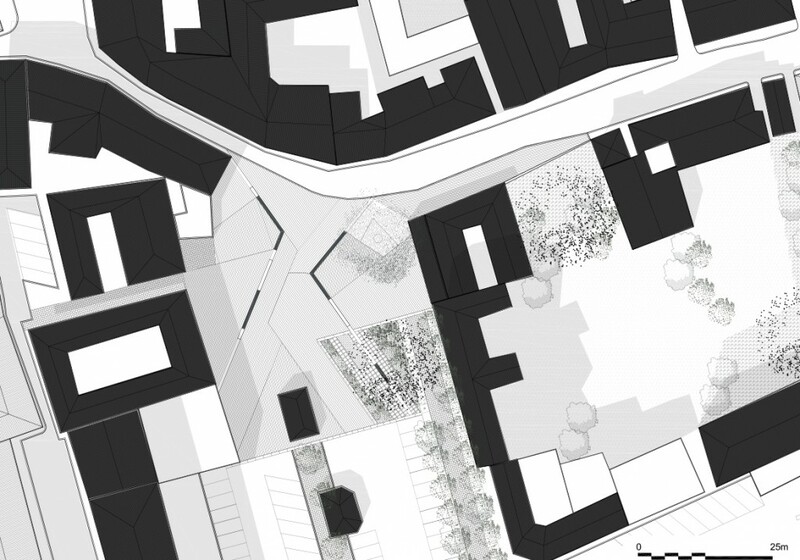 Therefore the guidelines have been drawn in order to define different zones: passageways along the facades on the square, rest areas and the central part where staging scenes of everyday life. Those lines determine also the different orientation of the Luserna stone flooring. A local material chosen in its most rough version, extremely rich in ferrous metal and its reddish colour like the red soil of those locations. 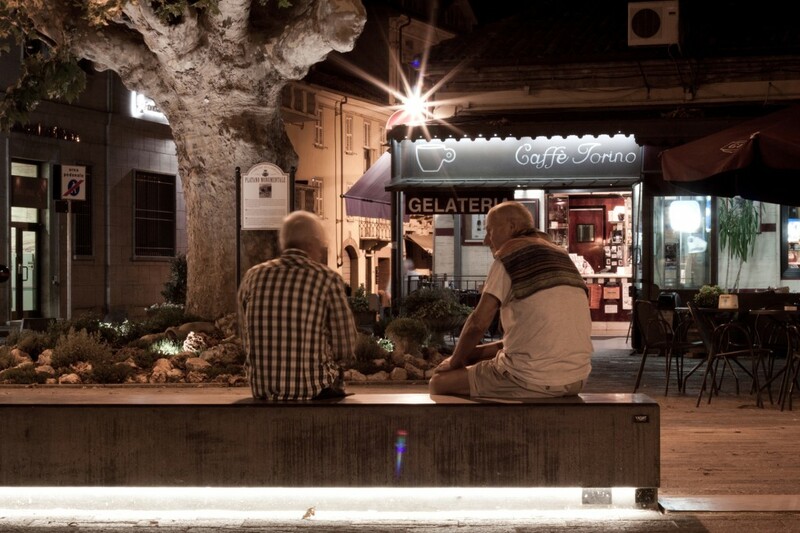 In some part of the square long concrete benches materialise from the ground as consistent and volumetric elements. 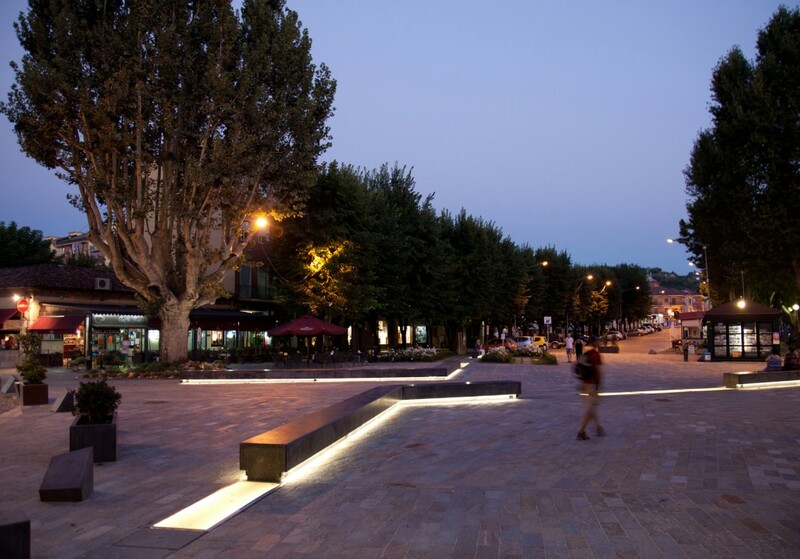 Their connection with the two-dimensional paving is softened by a blade of light which makes them look like almost suspended volumes. 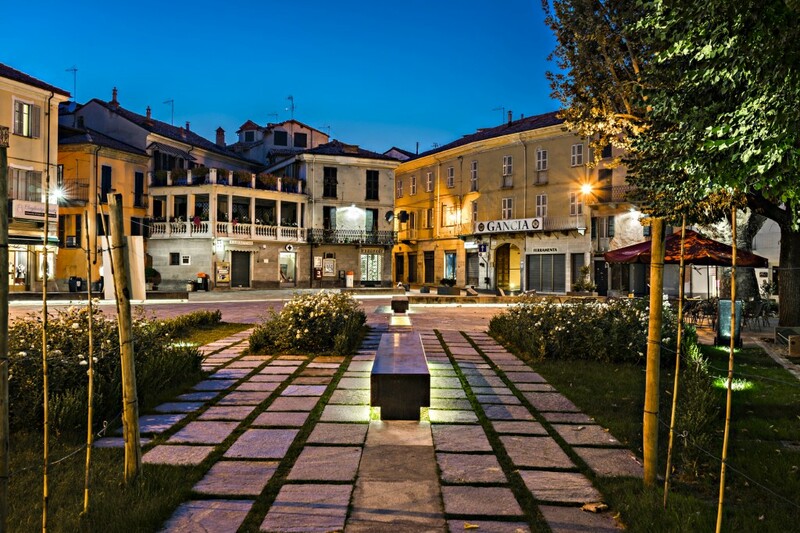 The gigant plane tree, which from a sacrificed corner has always witnessed the cases of citizens, gains now a central role in the new square, almost as it was a hearth so beloved of the rural tradition: a place around which get together at night after a day spent in the vineyard.